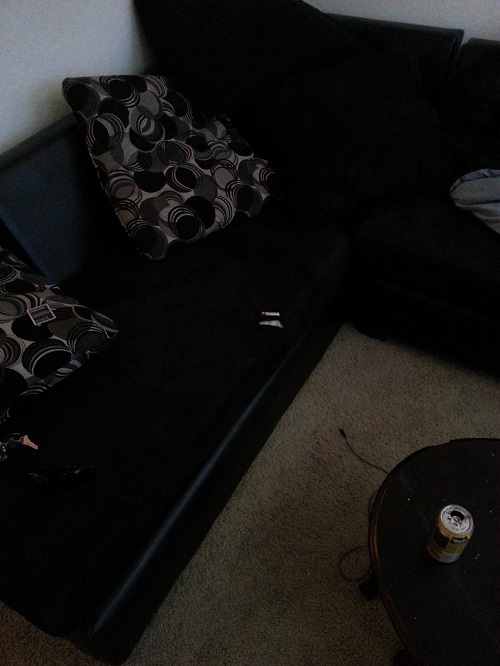 There's no critiquing of couches unless you post a couch pic. Roasting rules still apply, honcho. 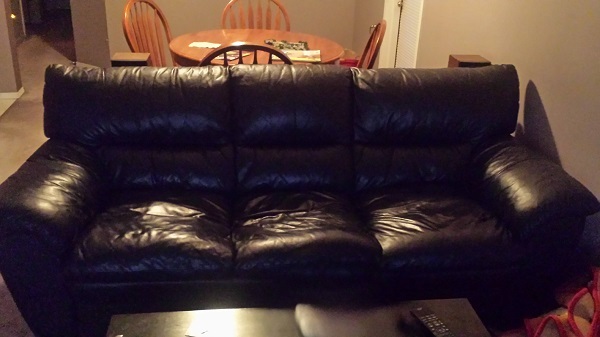 I bought a chaste half suede half leather all black couch. I have the pictures in my phone but not the means to upload it. If your phone has internet just upload to imgur. Gonna be mad that its all power recline including lay flat chaise and each side has flip up reading lights too? I like CopyPat's couch. I would sit on that. I also like his couch. Bags' couch has junk in its trunk. That's fair, no doubt no doubt. and though i think flexing couches is strange, I'll represent. brb. I just moved this month and don't have a couch at the moment. My previous roommate bought the one we used to have from me. Would a picture of my dining room table suffice? I was comparing a tear in the couch to the size of a battery, for legal purposes. This is the best image I got, assuming I did it right. It was legit in its prime. My syllable count approximately a billion, bounce. You cannot compete. Lol that was certain. I tried like 40 things and they all showed a blank little square on my phone. Not sure what actually worked. No idea wtf I'm doing..
Last edited by CopyPat; 10-15-2014 at 09:32 PM. you already uploaded a picture, copypat. @Greed and @CopyPat, I fixed your busted links and resized your photos. I now have .jpgs of both of your couches saved to my computer. Get an ashtray my G.